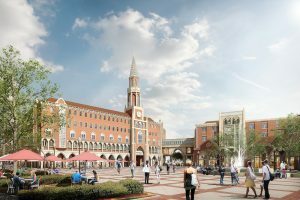 Reported as the biggest mixed-use development in South Los Angeles history, the $700 million USC Village opened in 2017. 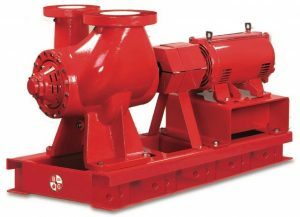 Working with the contractor, Limbach Co., Dawson Co. supplied all the B&G pumps for the 3,000-ton central plant and more than 650 dorms. 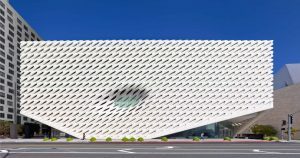 The contemporary art museum became an instant landmark in DTLA when it opened in 2015. Environmental control within the museum is accomplished through a B&G hydronic HVAC system to ensure the comfort of patrons as well as the preservation of objects inside the museum. Opened in 2017, the 73-story glass and steel skyscraper is the tallest building west of the Mississippi River. As a trusted partner in the design-build process, Dawson Co. and Bell & Gossett provide technically advanced and reliable comfort systems while preserving valuable square footage in the building. Read the case study. 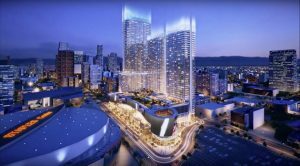 Each of the three high-rise towers in this luxury mixed-use development under construction in downtown LA has its own independent hydronic heating and cooling system featuring energy-efficient and space-saving Bell & Gossett products. See the progress. 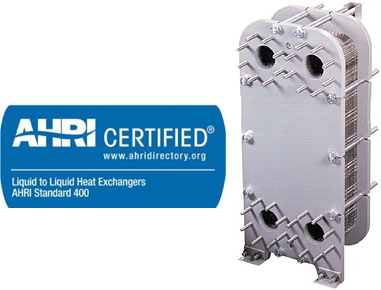 The new children’s hospital tower and state-of-the-art acute care adult hospital under construction include AHRI 400-certified Bell & Gossett brazed plate heat exchangers for efficient waterside economization. 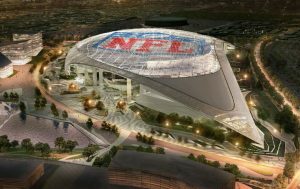 Projected to be the world’s most expensive sports complex at an estimated cost of $5 billion, the stadium will open in 2020 for the NFL’s Los Angeles Rams and Los Angeles Chargers. Bell & Gossett VSX and e-1510 pumps and GPX heat exchangers will provide heating and cooling throughout the concourse areas. Check out the construction webcam. More than 100 Bell & Gossett VSX pumps power HVAC and plumbing systems in all the terminals at the nation’s second-busiest airport, as part of the six-year $14 billion modernization program. 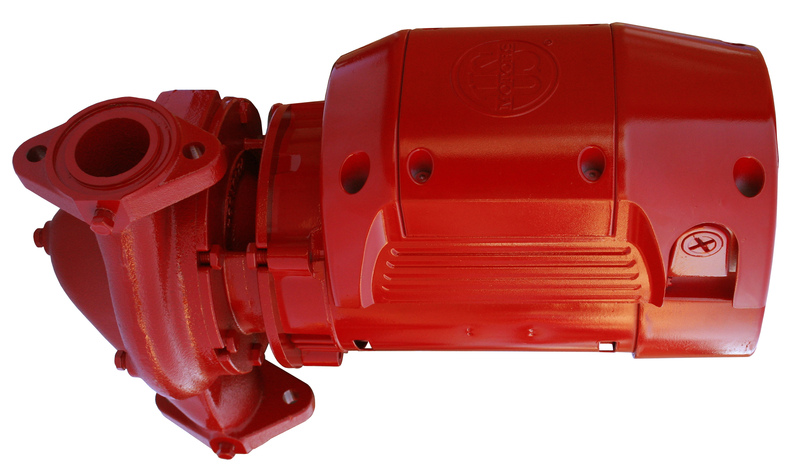 Ease of maintenance, compact footprint and competitive pricing made VSX the pump of choice at LAX. How Bell & Gossett Solves Buildings in Los Angeles with Dawson Co.
Construction in the Los Angeles area is the highest it has been in more than three decades — architecturally stunning high-rises, state-of-the-art health care facilities and new concepts for higher-education campuses are reimagining the urban landscape — and Bell & Gossett manufacturer’s representative Dawson Co. is part of it. 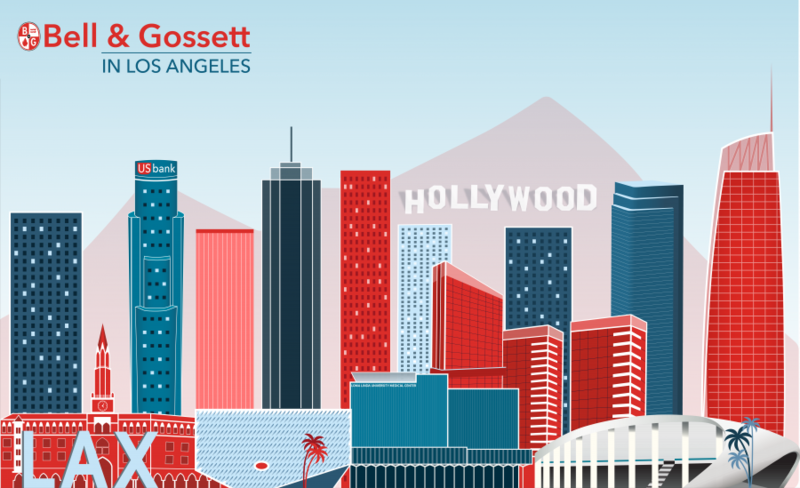 Dawson’s commitment to customer service and the supplier partnership concept have made Dawson the vendor of choice in Southern California since 1948. Learn more. Demonstrating it could “build a better mousetrap” with the latest hydronic HVAC system technology, B&G manufacturer’s rep Dawson Co. won the LAX contract. Superior customer service — Dawson set up a special website just for the LAX crew to find information on parts availability and service manuals — was another key factor. 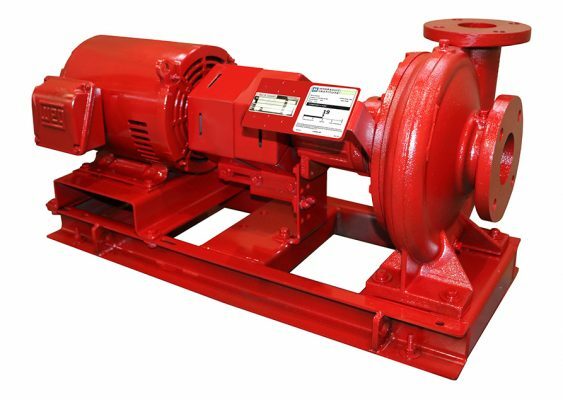 B&G truly sealed the deal once the facility maintenance personnel saw how easy it was to work on the VSX pumps — seal changes in just an hour versus an all-day project. Watch our VSX video for more. 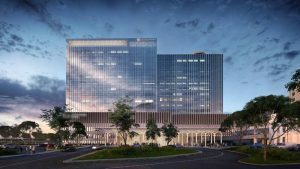 Hospital projects can be seven to 10 years in the making, so trusted working relationships with mechanical contractors such as Arup for HVAC and plumbing systems makes the difference. Read the construction blog. 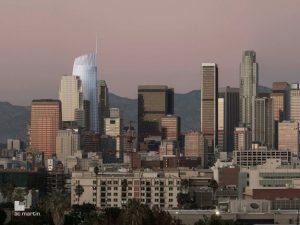 The 53-story tower that includes a five-star hotel and twin 40-story towers with luxury residences span an entire city block in DTLA. Rooftop boilers and cooling towers minimize working pressure on the pumps while also being hidden from view of those enjoying the swimming pool and park-like setting of the two-acre amenity deck two stories above street level. See the latest. Keeping projects on time and on budget are critical, especially on a multiyear build like the Wilshire Grand. Close coordination between B&G rep Dawson Co. and the factory helped ensure product lead times and deliveries aligned with the master schedule. Read the case study. The nine-level, 70,000-seat open-air stadium is expected to redefine the NFL experience. A B&G hydronic system will provide climate comfort to all of the public spaces when it’s needed to create a seamless transition between the indoors and outdoors in true So-Cal style. Bell & Gossett Rolairtrol centrifugal style air separators are important components of the hydronic HVAC system at the museum. 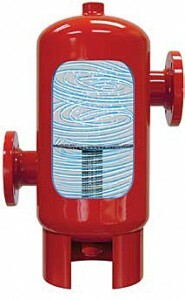 Air separators slow fluid velocity, so entrained air and suspended sediment can come out of solution and float to the top of the tank where they can be easily removed through an expansion tank. Doing so provides better heat transfer, eliminates system noise, protects system against damage and reduces energy costs. 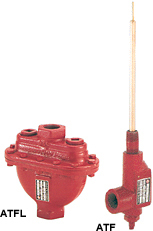 Among the Bell & Gossett pumps in the hydronic HVAC system at USC Village are the all-purpose Series e-90 close-coupled in-line mounted pump; the space-saving, versatile and high-performing VSX double-suction split-case pump and the e-1510 base-mounted end-suction pump with an extensive efficiency profile.